Find a vacation home to rent in Schouwen-Duiveland from our list of vacation rental properties. Campaya has over 89 vacation homes available in Schouwen-Duiveland, which give you the possibility to locate a unique accommodation in Schouwen-Duiveland which completes your check-list in search for the perfect self catering vacation apartments in Schouwen-Duiveland or vacation villas in Schouwen-Duiveland. This clean and nicely furnished holiday home in the province of Zeeland is located near the center of the fishing village Bruinisse. This holiday home is located within walking distance to a leisure beach, restaurant, supermarket, water sports shop and water playground. This comfortably furnished holiday home is at Grevelingen near the centre of the fishing village called Bruinisse. This holiday home in Bruinisse is situated near Grevelingen, not far from the fishing village called Bruinisse. This holiday apartment in Bruinisse can accommodate 5 people and is located right on Grecelingensee near the fishing village, Bruinisse. This holiday home is on a holiday park with a playground and boccia in Bruinisse. The house is located in a bungalow park de Tong near de Grevelingen Sea and not far from the fishing village Bruinisse. This attractively furnished holiday home near the lake Grevelingen is not far from the center of the fishing village Bruinisse. 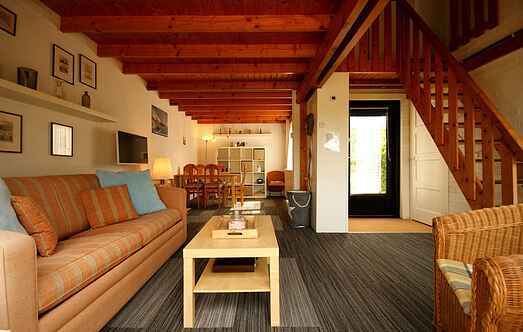 In this house you can enjoy a wonderful holiday in Zeeland.